The Hybrid Jr. is a smaller (simpler and thinner) version of our 2001-2005 flagship Hybrid MLT and offers most of the Hybrid MLT benefits - including the consistently phased neutral tonal balance - at approximately 1/2 of the Hybrid MLT price. 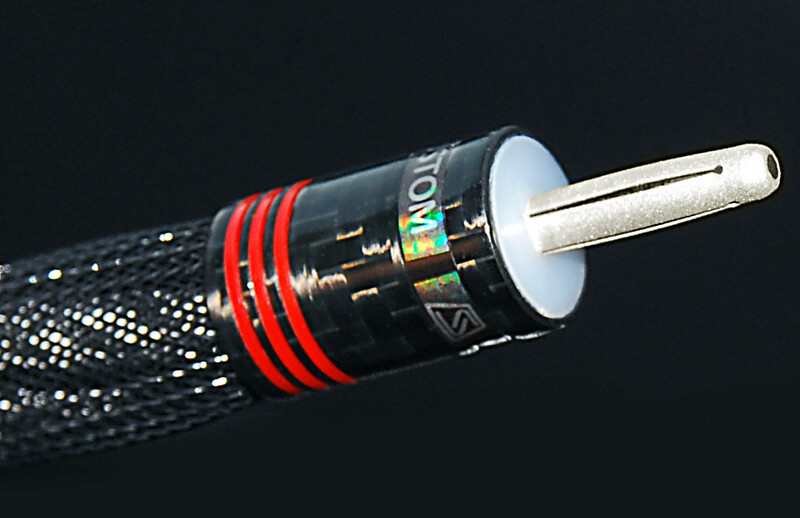 standard termination: ultra light gold plated beryllium copper Z-banana plugs, or Cardas Rhodium-over-silver plated spade lugs. 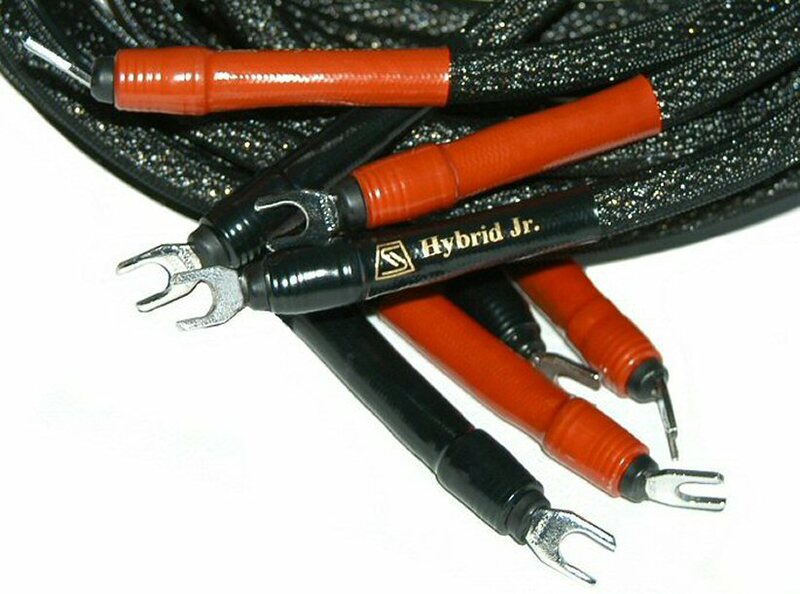 A stereo set of Hybrid Jr. consists of four separate cables: two go to the right speaker, and the other two go to the left; effective gauge of each of these cables is 12 - which makes it 9 AWG per speaker; these cables have almost non-existent capacitance, low inductance and low overall "Q" factor (very good resonant properties to prevents cables from "ringing" - i.e. emphasizing any particular frequency in the audio range and far beyond); double measures have been taken to contradict skin effect: for each individual conductive strand, and separately - for the entire cable. 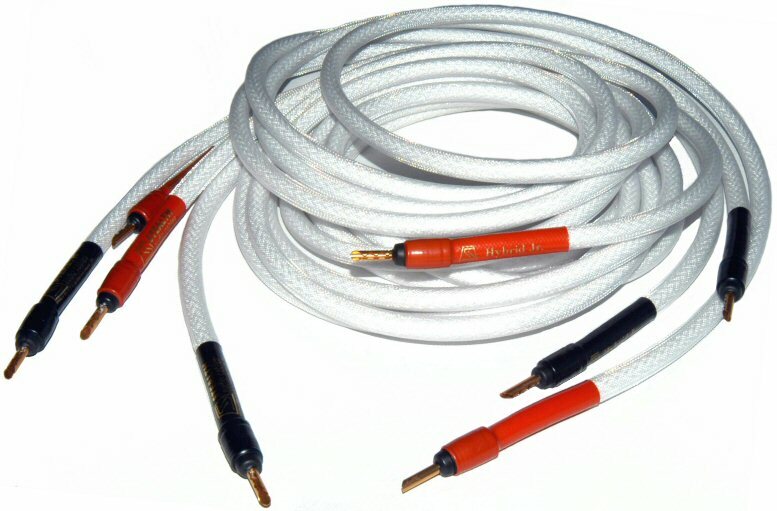 The conductive material is a combination of pure silver (on the inside of each cable) and pure copper (on the outside of each cable) - insulated from each other. 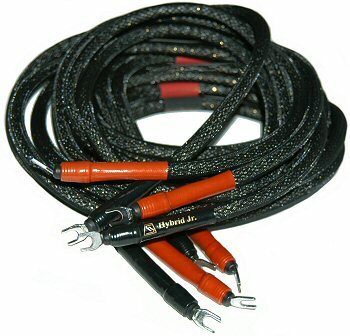 This combination is chosen to "contradict" the skin effect for the entire cable* and makes the signal "flow" and timing uniform along and across the cable and assuring great transparency, neutrality, good resolution and "fast" coherent bass response (this is the main reason to employ the hybrid composition and use two materials: silver and copper). The Hybrid Jr. is designed to provide the transparency of pure silver, combined with the subjective "body" and authority of pure copper - but without the typical for pure copper "dark" sound, and without the typical pure silver presence region emphases. The Hybrid Jr. offers good low bass and treble extension, good resolution and neutrality - surpassed only by the STEALTH Dream and Hybrid MLT.